Yes, I know, it has a few wrinkles, but you would to if you were stuffed in a box and shipped! You better believe it! 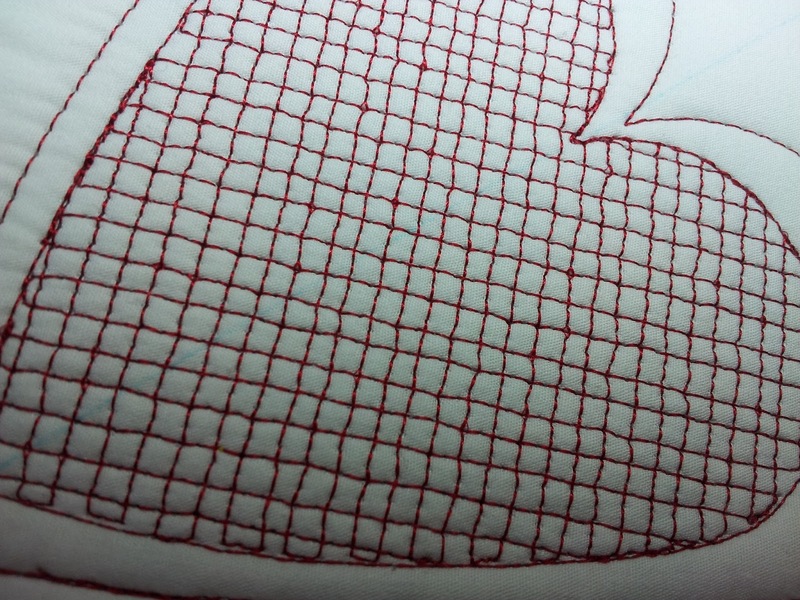 That is 1/8" cross hatching... No wonder I had to get new contacts. 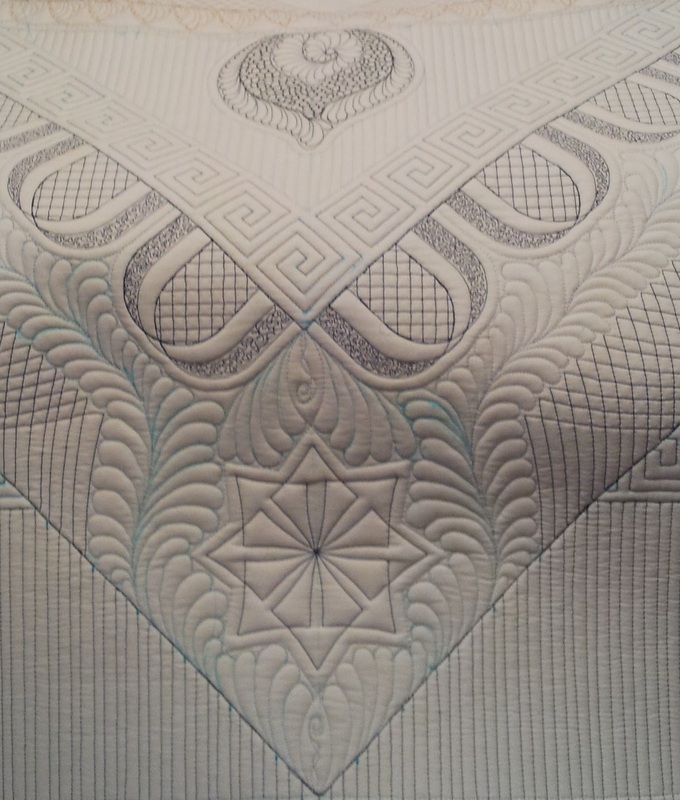 Here's a pic before the feathers were added..
How does it look on the bed, you may ask? Well this is probably the only time it will every be on a bed. LOL Otherwise the dogs and cats might claim it! 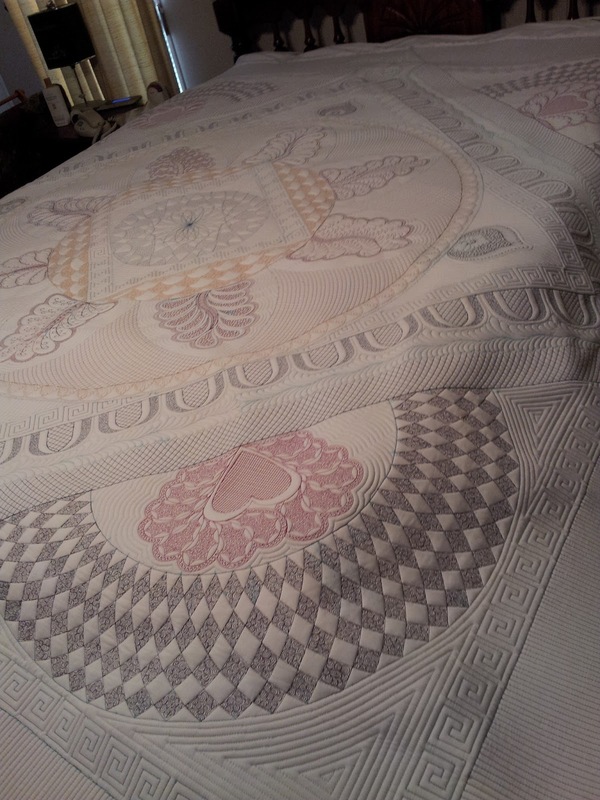 The quilt is not finished here, but I wanted to show you the green flame shaped thing. 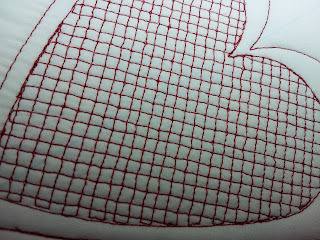 This is from before the quilting was complete. Well I hope you enjoyed seeing the pictures of my quilt "All My Rowdy Friends". 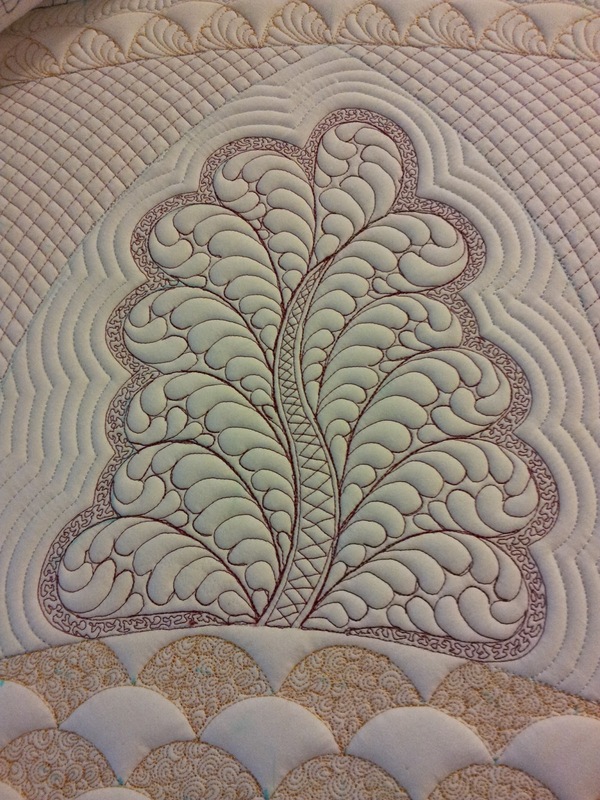 I really enjoyed designing and quilting it. 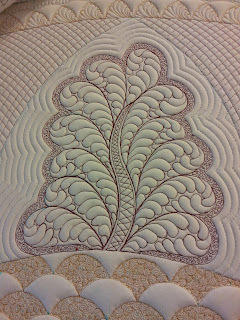 If you happen to be in the area in June, this quilt will be at the show in Columbus, Ohio. 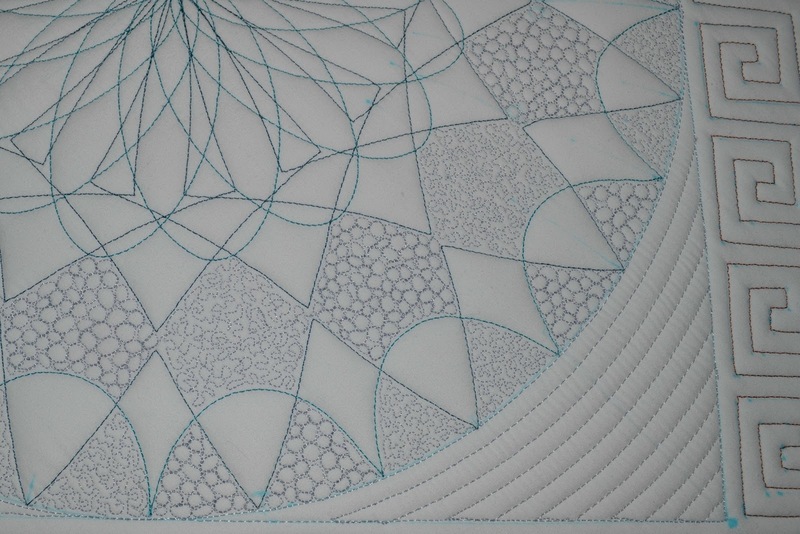 My next quilt is a Double Wedding Ring pieced by my friend Kevin the Quilter. 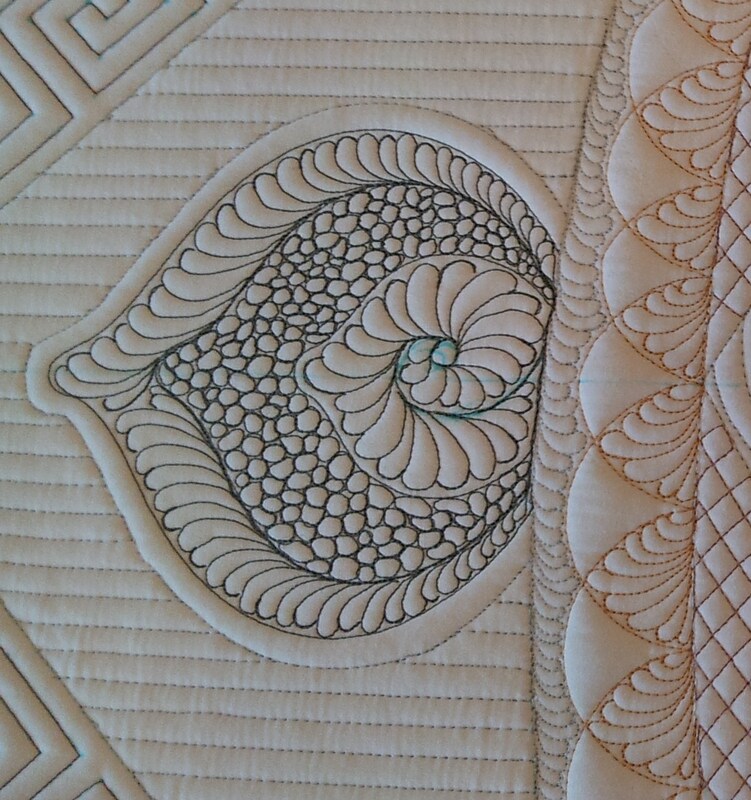 Check back in to see how the quilting is going. 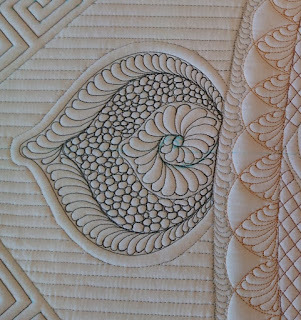 I am ALWAYS in awe of your quilting skills Ann! Congratulations on your very deserved award at MQS! Me? The center (of attention)?????? Should we plan a trip to Columbus now????? Wow, that's AMAZING!! A well-deserved win - congratulations! Wow!!! 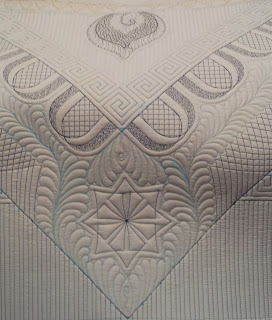 This quilt is stunningly beautiful!!! Yes, Wow! Always amazed at your work. 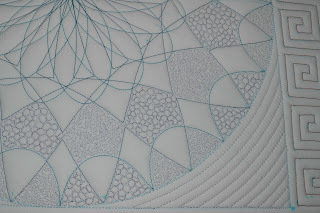 Beautiful design and a stunning quilting. Congratulation for the award, Ann - well deserved!